It was a big relief when I stumbled onto POTP Legends class wave 2 at my local Walmart. 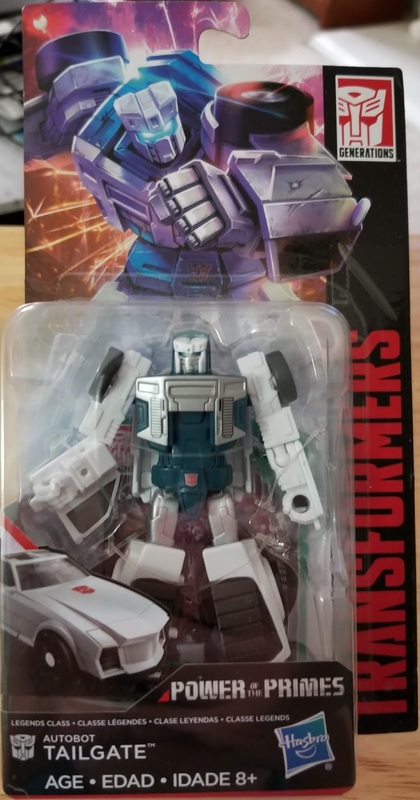 The class is one of my favorites to buy and just like Titans Return, I don't want to miss a single one (still cheesed about the few Combiner Wars ones I missed). In all actuality, just like the Windcharger before it, I was a bit confused for a new Tailgate. Both Windcharger and Tailgate got new Legends scale figures not very long ago and I'd figure they'd want to use the resources towards new molds of other characters first. Though just like Windcharger, I was very pleased with the end result as the new mold is a big improvement over the prior toy. Actually, though Tailgate is basically the same toy with a different head and colors, I like him a lot better than Windcharger. Sometimes it's the little things than can make a big difference. Tailgate is a short, squat little guy with plenty of articulation for his size. 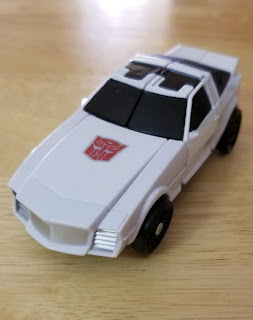 Sure, you can't roll him up into a ball, but he has a pleasant amount for a smaller figure that turns into a car. He also benefits from a limited color deco being used wisely. Tailgate's always been pretty basic on the color front, but those basic colors look really nice here. He's just a good looking toy. In his car mode, Tailgate is completely adequate. He looks exactly like he's supposed too with no real surprises, and that's ok. Some people have complained (take a shot) that Generations toys from the past few years are really just G1 toys with better articulation. Which is pretty much the same thing as complaining that water is wet. These are meant to be updates to classic characters, and just happen to be that. I'm sure if they would look up they might see the point sailing over their heads somewhere in orbit. 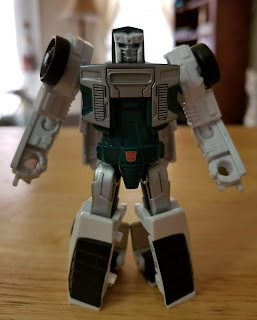 In all I'm really happy with Tailgate, more so than I thought I'd be. 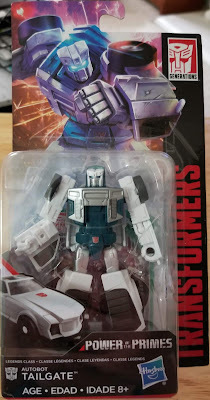 I'm a little surprised just how much I like him as I technically already have the toy since my wife got me Windcharger for Christmas. Like I said, sometimes it's really the little things that can make all the difference. It doesn't hurt that I've been in that frame of mind I get where I can see all sorts of different used I could get from a toy mold if I was in a position to come up with such things. This is a mold that I can see plenty of other uses for, and with the Tailgate head, I can get more out of it mentally.